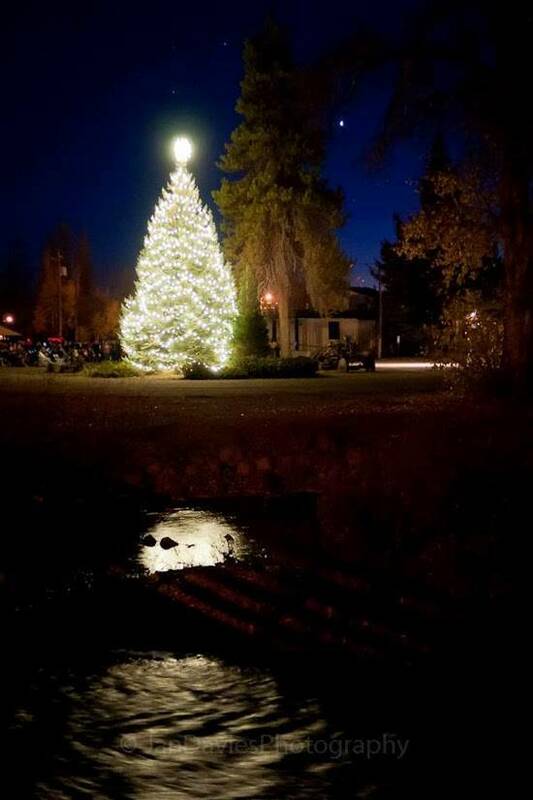 On Saturday, Nov. 9, the town of Chester, California held their holiday tree lighting ceremony. The celebration kicked off the holidays and honored the men and women of the armed forces. The tree lighting ceremony, which took place during Veterans Day weekend, honored servicemen and women by initiating a season of peace, hope, and goodwill towards others. The event featured the color guard, a community sing-a-long of Let There Be Peace on Earth and the opportunity for families to hang ornaments on the tree. This celebration means a lot to this town and we are so happy that we had the opportunity to provide the lights and tree topper for their tree. Here is the town’s official mission statement for the celebration: Peace and goodwill in our world starts within each individual, each family and each community. We wish for our community to express a collective desire for peace and goodwill among ourselves, to create symbolic, yet powerful expression of that which we long for in our world. Lighting this tree together, at the beginning of our holiday season and on the weekend that our nation celebrates the service and sacrifice of our brothers and sisters for our national safety and security, we put forth our intention for peace. We honor their service by initiating, with this tree lighting, a season of peace, hope, service and goodwill toward each other, those in our families, our neighborhoods and our community. The lights of this tree shall remind us of the commitment we make this day in memory of those who have served us and of our intention to live beside each other in peace and harmony. In this, we become a model for others. After the celebration, we received the following message from Chester: "We did it! With your help, we had a beautiful community tree lighting ceremony in honor of our veterans. Thank you!"